In 1985, team managers Bob Shuga and Dan Britton took Kelley’s RMA team to Brookfield/Milwaukee, Wisconsin and captured and unexpected Class B Divisional Championship. This Rockford squad, sponsored by Jim Kelley, overcame player losses during the season to come together for one weekend to provide a total team effort. Tournament MVP, Brian Benning, became the team’s offensive leader with seven home runs in nine games. Additional All-Tournament selections included: Kevin Mattson (left field), Randy Torgerson (right center field; 2009 Illinois Hall of Fame inductee), Barry Kramer (first base) and Steve Hutson (second base). The other team members of the championship team included: Brand Lindmark (third base; 2003 Illinois Hall of Fame inductee), Ron Shuga (pitcher/third base), Dave Carroll (shortstop), Herb Healy (catcher), Mark Erickson (catcher), Pete Todd (right field) and Dan Britton (pitcher/outfield). During this Divisional contest, Jim Kelley was so proud that the players from other Rockford-area teams would stay to cheer for his team even though their teams had been eliminated from the tournament already. Jim was so happy for this additional fan support that he invited all of them to stay overnight at his expense to help cheer them on in the finals the next day. To show his pleasure with all those that accepted his offer, Jim bought them all dinner as his “thank you.” This is another talented team sponsored by a long-time softball sponsor. Playing in numerous USSSA sponsored events soon developed this team into a fraternity of lifelong friendships and a gathering of successful teammates. Jim Kelley will always be remembered as one of the best sponsors in the Rockford area. His love of the game and his generosity is unmatched for the number of years he sponsored many competitive Kelley or RMA teams. Jim’s interest in another night to play was also instrumental in the early stages of the eventual development of Forest Hills Diamonds. 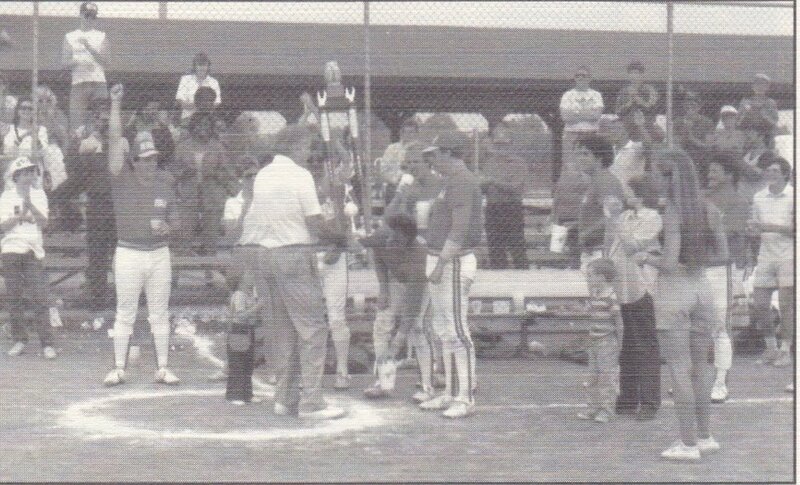 Jim was inducted into the Illinois USSSA Hall of Fame posthumously in 1998.